"Dagwaagin" is an Ojibwe term for "Fall", "Gabeshiwin" is Ojibwe for Camp. 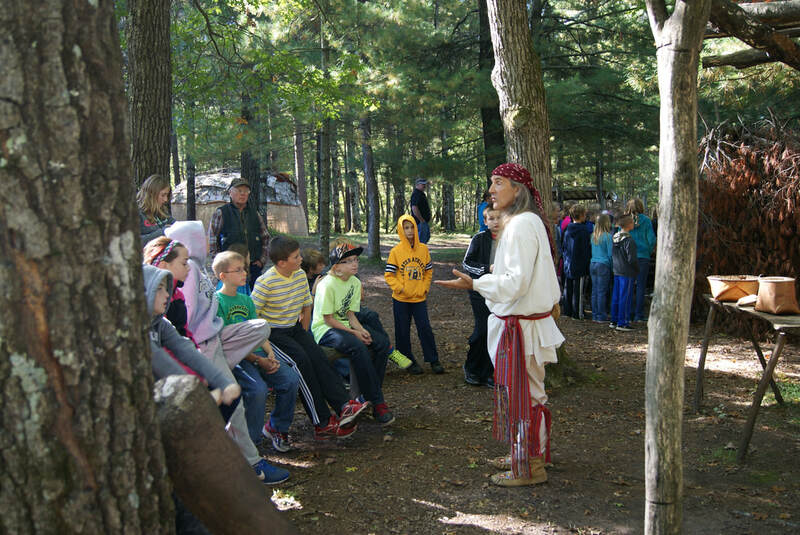 This Fall Gathering features several re-enactors demonstrating flint knapping, firestarting, rope making, duck decoys constructed from cattails, and more - think of it as a mini-Rendezvous along with shorter tours of the historic site and Ojibwe Village. The clay ovens will be fired and several primitive camps will be set up. Tomahawk throwing and archery are included in this event. Admission is $10 for adults, $8 for Seniors 65+, Retired/Active Military and College Students; $6 for children 6-17 and free for children 5 and under. School groups are invited to come to the event on Friday, October 5th. See our School Tours page here. Fur Trade Re-enactors should contact Kevin Hoyt for information about participating in the primitive encampment, 715-866-8890 or fahp@centurytel.net. Burnett County Historical Society and Forts Folle Avoine Historical Park are not responsible for accidents that occur during overnight stays. Forts Folle Avoine Historical Park is on the National Register of Historic Places. Travel Green Wisconsin recognizes tourism related businesses that are reducing their environmental impact through operational and other improvements. BCHS is a member of the Wisconsin Historical Society.